As we reported before, Alice Nine is having a comeback after one year of hiatus with anniversary live that will be held on August 23rd in Toyosu PIT Tokyo. 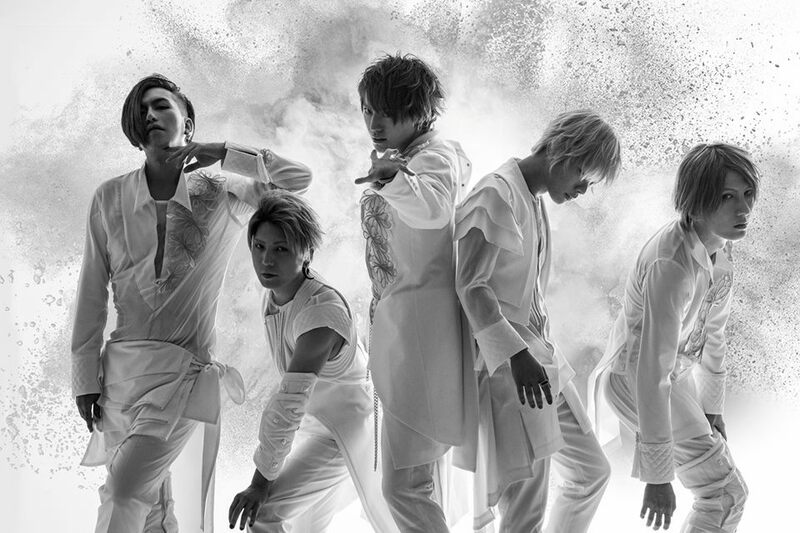 Prior to their comeback, Alice Nine reveals their new artist photo. This time, they wear all whites, to symbolize “starting from scratch with a clean slate”. The designer of the costumes is world-renowned YUMA KOSHINO -who through her friendship with Alice Nine’s vocalist Show who worked with her in a TV program- accepted the offer to design for the band. The photographer is HIRO KIMURA, who’s photographed both international artists like Lenny Kravitz and also Japanese artists like Natsuki Mari and Watanabe Ken. While art direction is handled by TOSHIYUKI SUZUKI from United Lounge. By bringing together the powers of world-renowned creators, Alice Nine attempt to produce work that will appeal not only to the Japanese audience, but also to the world. 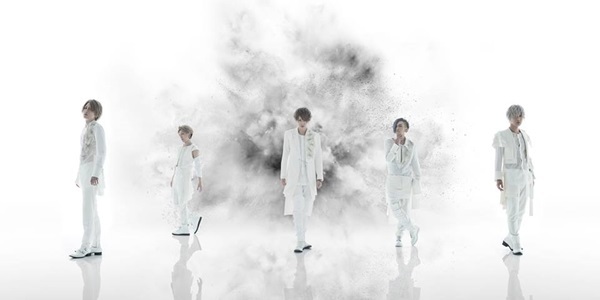 Alice Nine has also revealed the details of the start-up EP ‘Ginga no oto’. The EP will contain a total of 7 new songs, with 6 full songs and 1 SE song, with an extravagant production despite it being under an indie label. For instance, in the song ‘Freesia no Saku Basho’, they work with Yoshimata Ryo, who’s composed the music for NHK taiga dorama such as Atsu Hime, Gou: Himetachi no Sengoku, and also for movies. Yoshimata Ryo arranged the strings for the song, while Muroya Koichirou Strings provides the sound of full orchestra, giving birth to a song of an unprecedented scale! Furthermore, Alice Nine has added more dates of fanclub limited performances and two overseas performances. The FC limited performances will be held on September 12 & 13 in Shibuya CLUB QUATTRO. The title of the second day FC-limited live is Kachoufugetsu, the same as the title of previous FC-limited lives since a long time ago. We can expect performance that is a bit different than the rest of the tour! While for overseas, Alice Nine has added Singapore and Malaysia, which they also visited last year, and this year they decided to have a 2-days performance in Singapore! By looking at the details so far revealed, we can see that their activities in the upcoming few months will exceed their own activity scale until now. Please keep an eye on Alice Nine from now on, as they aim to reach higher! The band also reveals the full MV of the main song ‘Spiegel’ and wishes everyone to check it out!